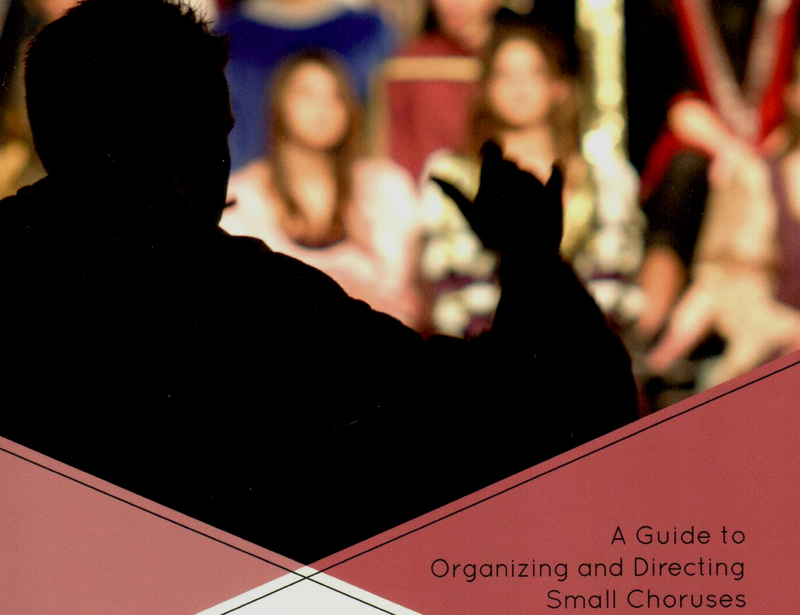 Arthur Wenk leads us through the pages of his “Guide to Organizing and Directing Small Choruses” with a great deal of “lived through” experience under his belt. Wenk was the Founder and Director of the Cambridge Singers in Boston (1973-74), The Pittsburgh Camerata in Pennsylvania (1974-81), La Camerata Vocale in Québec City (1982-86), and three singing ensembles in Toronto – The Toronto Camerata (1990-99), St Andrew’s College Choir (1995-2000), and the Quodlibet (2001-2007). A total of six ensembles established from scratch. Wenk’s academic qualifications seem to have prepared him perfectly for the job of working with musicians (and much more). With a Bachelor of Arts (Mathematics and Music), three Masters degrees – Master of Arts in Music Theory, Master of Science in Information Science, and Master of Arts in Psychology – and a Doctor of Philosophy in Musicology, it seems that all of the bases are covered. I particularly enjoyed reading the “Autobiographical Sketch: The Making of a Choral Director,” which appears at the end of Wenk’s manuscript. After completing his first degree at Amherst, and having worked with other conductors in joint projects during this time, Wenk was fuelled and ready to take on the choral world in his first job at a small college in San Bernardino, California. Unfortunately his enthusiasm for programming German baroque cantatas, French carols, Latin motets, and Gregorian chants in his first concert did not match the reality of his singer situation. Wenk has certainly experienced the highs and lows of founding and directing groups of singers and provides the reader with some interesting reading on what he has learned. As an extension of his work leading chamber choirs Wenk encourages those wanting to start their own ensemble to articulate their reason for beginning one. What is the purpose of this new ensemble? He then leads the reader through the conceptual issues at this beginning stage of setting up a group or organisation – setting a goal, choosing a name, meeting people (talking to successful people about how they did it), creating an executive group to manage the choir, publicity in the newspapers, radio, finding a place to rehearse and concert venues, recruiting singers and planning programmes. The book is arranged neatly into sections which address setting out goals, the composing of a prospectus for an organisation, twenty-one suggested themed programmes, an organisational document (not quite a constitution but similar), an example of a financial statement, a singer’s guide, guidelines for a Folksong competition, and a section illustrating some of Wenk’s arrangements. There is a section on “getting better” which addresses several of the non-musical elements that might be employed to improve or enlarge your organisation. 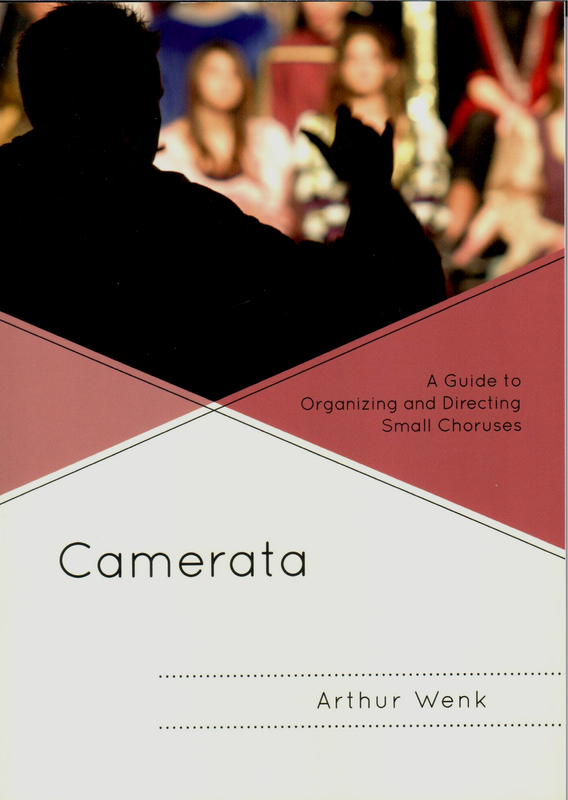 Chapter Four, “Programs,” provides twenty-one lists of music for a cappella choir organised around themes. 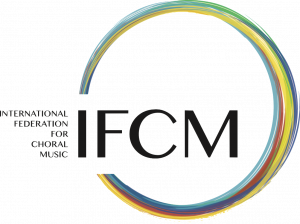 Some of the themed programmes include – Absalom, And the Angel Said, A song for Simeon, Spring Returns, and Cantate Domino: Six Centuries of Psalms. For conductors who are just starting off with an a cappella ensemble, this chapter provides an extensive list of works to peruse and could lead to the formation of other themed programmes. An additional list of repertoire is given in Chapter Five. Wenk also includes more than twenty original Christmas carols and carol arrangements of his own, for performance by small choirs. This book is a valuable resource for anyone starting a new singing organisation of any size, not just a small ensemble. Wenk is offering the reader practical advice gained through his own experience. It does not address conducting technique, preparation of score, or too much detail on rehearsing specifics, but let’s face it, there are plenty of books that do.